High quality electric heaters. Retro-fit an existing outdoor area; or let us design a tailored solution for your business (architects, designers, hotels, gaming venues etc...). Infratech heaters are the most powerful and durable heaters on the market, with an IPX-65 rating they can be fully exposed to the elements. Innovative Infrared Technology. 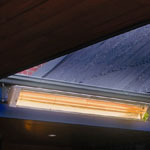 Commercial grade outdoor radiant heater. Arguably the most powerful and durable heater on the market. ‘Quartz element’ = Instant Heat. 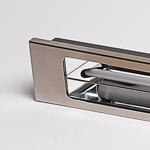 Suitable for commercial and domestic outdoor applications for the aesthetic conscious. Innovative Infrared Technology. 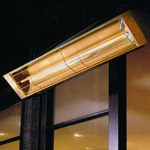 Commercial grade outdoor radiant heater. Arguably the most powerful and durable heater on the market. ‘Quartz element’ = Instant Heat. Suitable for all commercial and domestic outdoor applications.